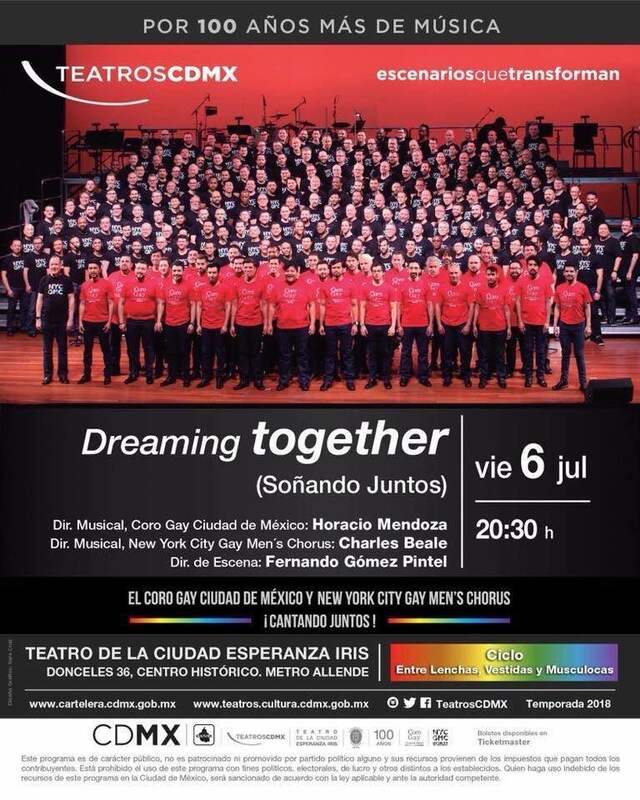 I recently returned from 'Dreaming Together', a unique tour of Mexico City and Puerto Vallarta, where NYCGMC performed multiple times with Coro Gay Ciudad de México (and the Puerto Vallarta Gay Men's Chorus in PV). We had been building our relationship with the Mexico City group for 3 years, and they came and sang at our Big Gay Sing in March 2017, as our guests. Since then, the 5 year old group have grown to around 62 singers, doubling in size approximately every 18 months, and they are set to be the leading group in Mexico and indeed the region within a few years. 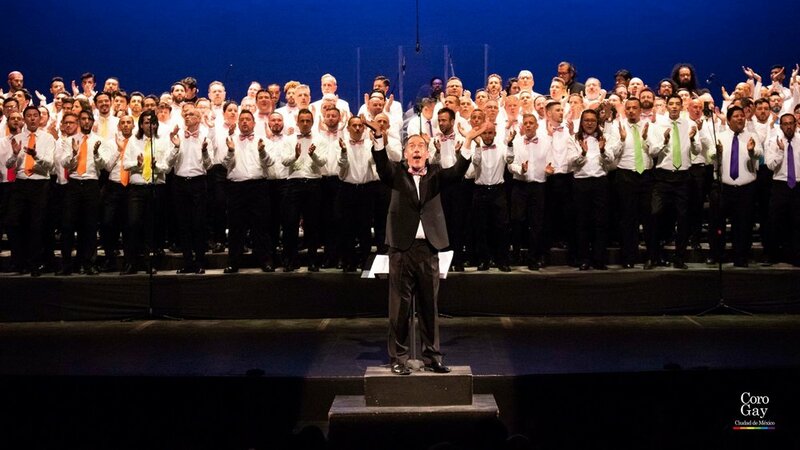 We hear of other new groups just emerging in Chihuahua, Mexico and Tabasco too, so several parts of the country seem ripe for the development of new LGBTQ choirs. Our singers have built strong relationships over several years now, staying with each other and making close friendships through singing together. A few are now in couples together, and I may lose one of my singers to their group! It was also great to sing in their city, and to raise some much needed cash for them, at one of their first gigs in a major concert hall. They pretty much sold out both nights with massive houses, and we hope the cash raised will enable them to do more, and to build infrastructure as they grow. Their operation was highly professional, and I did 5-6 different media appearances in 2 days. As always, we learnt as much from them as they did from us, and both organizations grew. In the process, we made some amazing music. Oscar Urtusástegui gave this very, very powerful speech. If anyone can make a difference for LGBTQ Equality in Mexico, this group can!